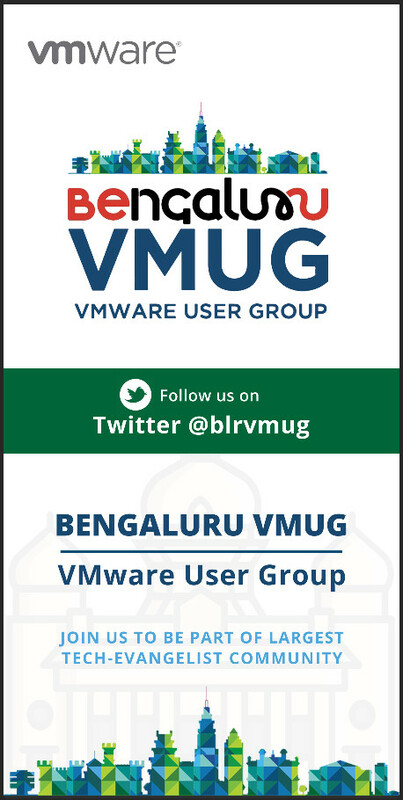 Today we will discuss about How to Delete Linked Clone Virtual Machines Manually. Few days back we had some issues on our production environment and we fixed that issue with deleting some linked clone virtual machines. There are multiple symptoms where we need to perform manual deletion of linked clone virtual machine. When viewing a pools Inventory tab, the status of one or more virtual machines may be shown as missing. I divided manual VM removal into four parts. 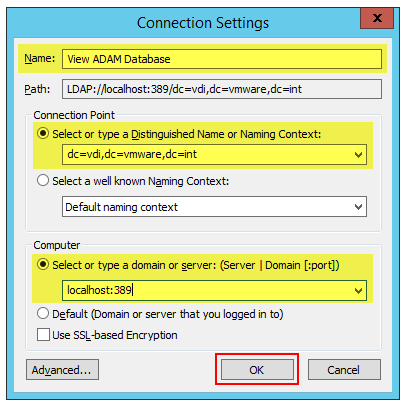 Remove the virtual machines from the ADAM Database on the connection server. Remove desktop references within the View Composer database. Remove affected computer objects from Active Directory. 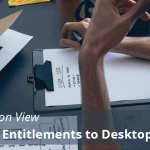 Remove the desktops from vCenter Server. 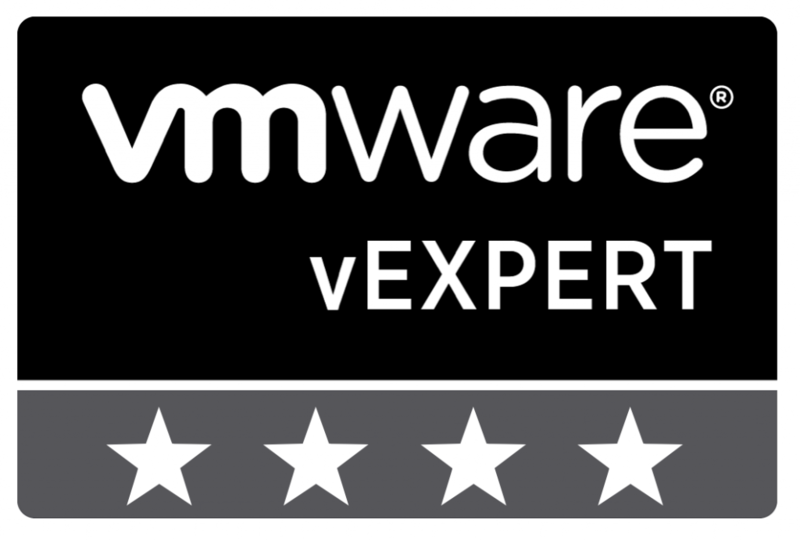 In this demo I am going to remove VDI-DP01-1 VM. Lets start..
Before proceeding with manual virtual machine deletion, login to View Administrator console and disable provisioning. 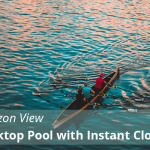 Select targeted Desktop Pool > Summary > Click on Status > Select Disable Provisioning. Under Connection Servers > Select your connection server and hit on Backup now. 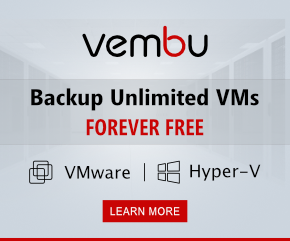 Verify you have successful backups for all your connection servers. 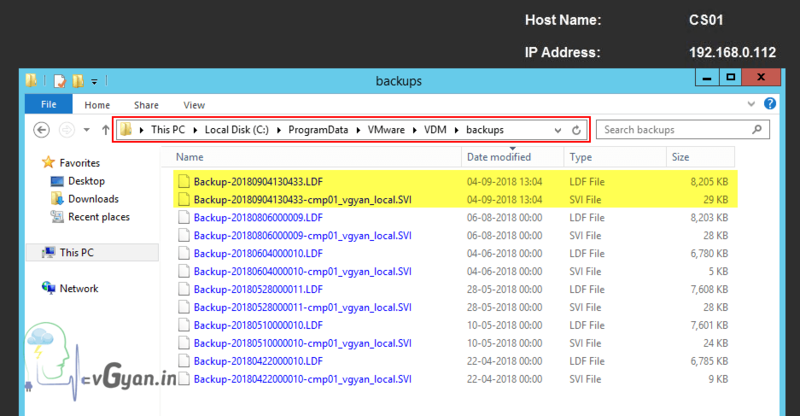 VDM backup repository will be in C:\ProgramData\VMware\VDM\backups folder. ADAM backup will be on .LDF format and composer backup will be in .SVI format. Login to one of the View Connection Servers as Domain Administrator. 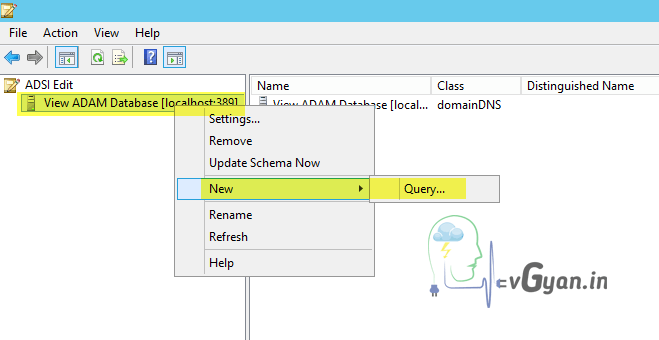 Right-click the Connection View ADAM Database [localhost:389], and click New > Query. 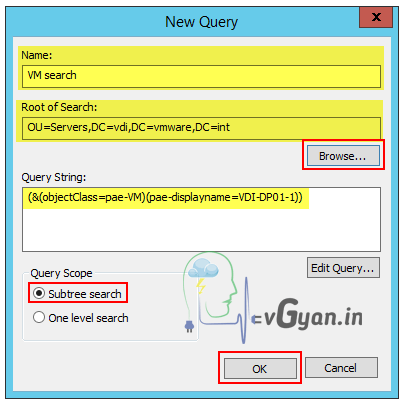 Provide a query name such as VM Search. Under Root of Search, click Browse and select the Servers organizational unit. In the Query String, paste this search string:(&(objectClass=pae-VM)(pae-displayname=VirtualMachineName))Where VirtualMachineName is the name of the virtual machine for which you are trying to locate the GUID. Click OK to create the query. Click the query in the left pane. 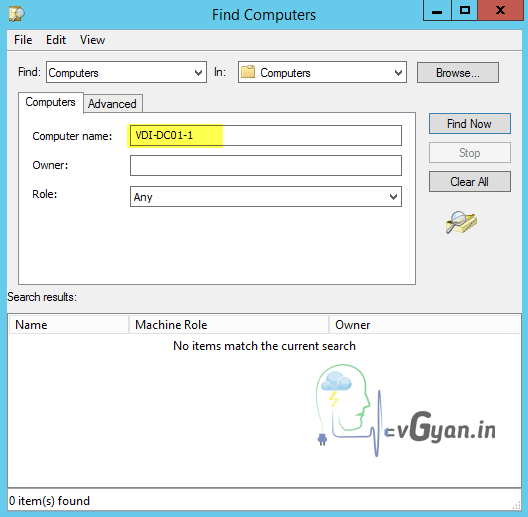 The virtual machines that match the search are displayed in the right pane. 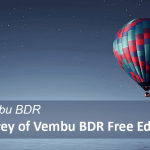 Check the properties of the items returned by the query to confirm the correct virtual machine were found, and delete the pae-VM object to remove them from the database. 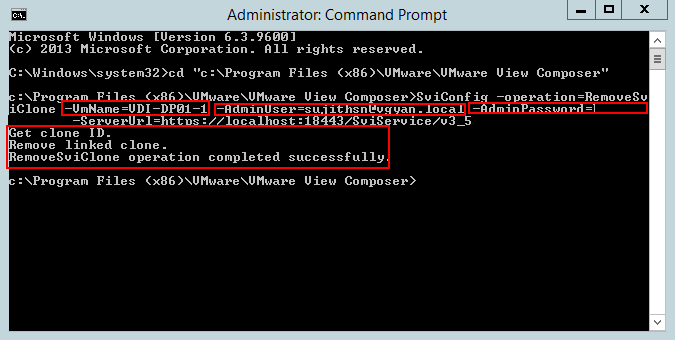 Now we can see targeted virtual machine removed from view administrator console. 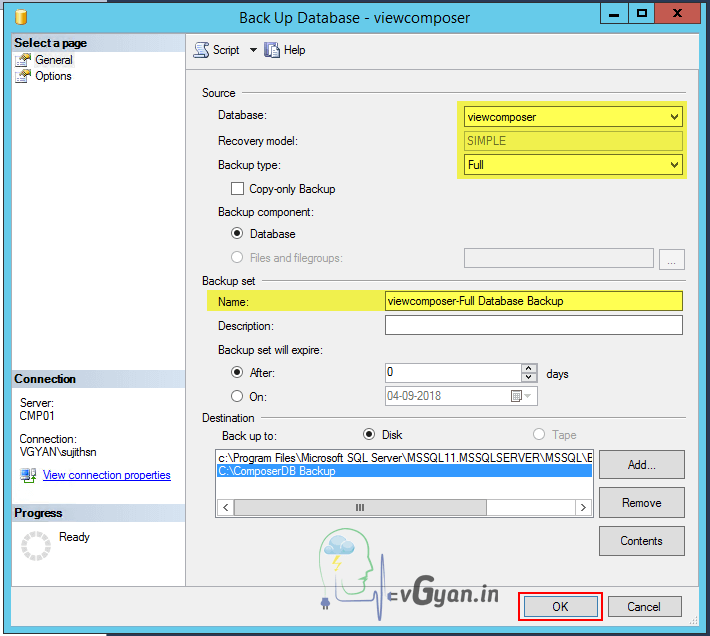 Before proceeding with View composer database, make sure you have taken database backup. 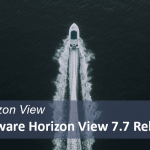 For taking Composer database backup, stop VMware Horizon 7 Composer service. 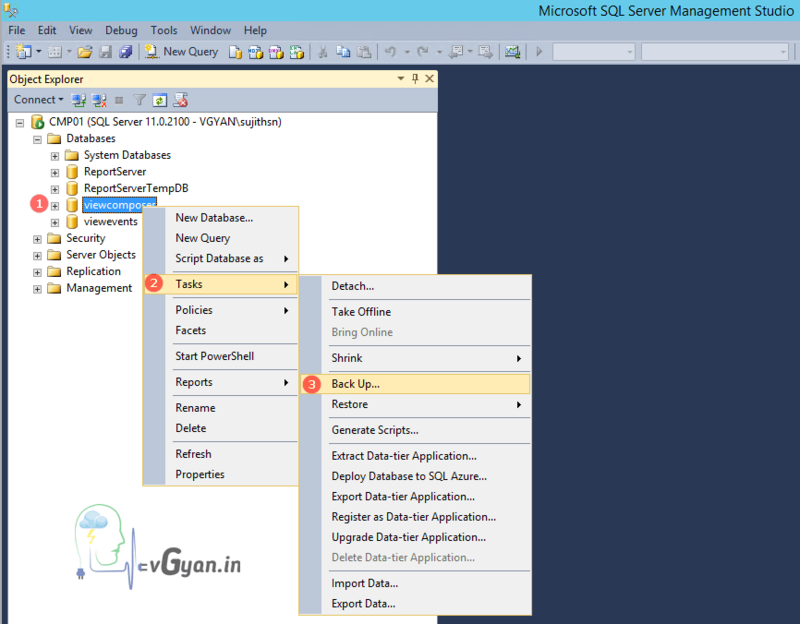 Open SQL Server management studio, right click on Composer database > Tasks > Backup. Select suitable location for saving DB backup. linked clone database entries from the View Composer database. linked clone machine account from Active Directory. linked clone virtual machine from vCenter Server. VMname is the name of the virtual machine to remove. TheLocalAdminUser is the name of the user who is part of the local administrator group. The default value is Administrator. TheLocalAdminPassword is the password of the administrator used to connect to the View Composer server. TheViewComposerServerUrl is the View Composer server URL. 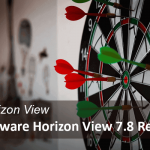 VMware View Manager 6.0, TheViewComposerServerUrl is the View Composer server URL. The default value is https://localhost:18443/SviService/v3_5. Open command prompt with administrator privilege and run viConfig RemoveSviClonecommand. Log in to the Domain Controller as Administrator. 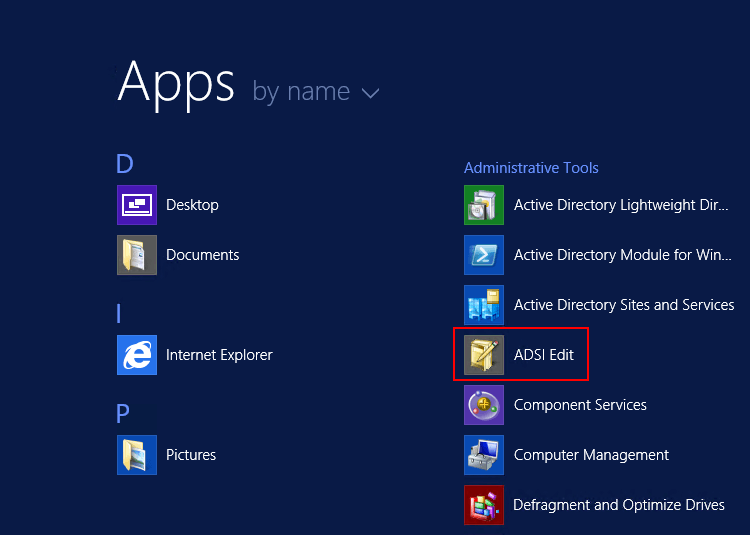 Navigate to Start > Administrative Tools > Active Directory Users and Computers. Remove the virtual machine from Computers.Note: The virtual machine may not be in the Computers OU, It may be in a different OU. Here its already removed from AD. Log in to vCenter Server using the vSphere Client. Right-click the linked clone virtual machine and click Power > Power Off. 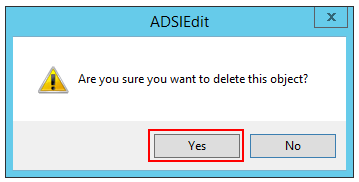 Right-click the linked clone virtual machine and click Delete from Disk. Here VDI-DP01-1 vm already removed from vCenter server. 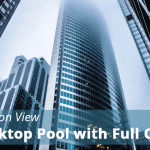 Enable provisioning on desktop pool. 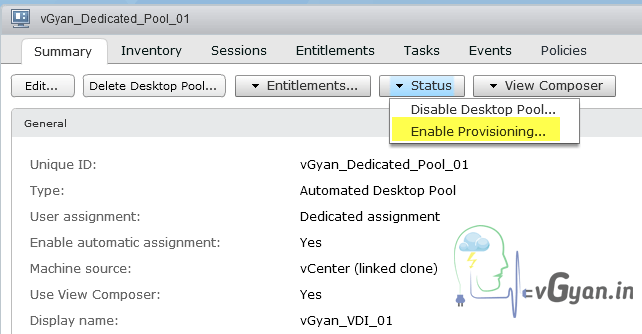 elect targeted Desktop Pool > Summary > Click on Status > Select Enable Provisioning. 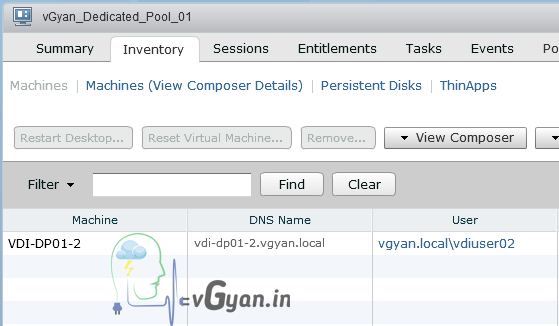 Wait for few minutes, View composer initiated new vm VDI-DP01-1 build and it become available in desktop pool inventory. So we successfully removed linked clone virtual machine manually from Horizon environment. 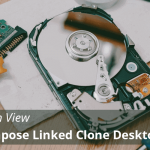 If you are using linked clone for a dedicated pool which is having persistent disk, you should detach persistent disk before proceeding with this task. Once VM recreated on desktop pool you can re attach same persistent disk.